The island of Malta is renowned for its hospitality and Mediterranean charm that has seen it become a prime location for foreign businesses, property investment, holidays and even as a retirement destination. Property investment in Malta offers the opportunity to benefit from the numerous residency conditions as well as the tax benefits available in Malta. There are no property rates or property taxes in Malta and profit on the sale of one’s residence is not subject to capital gains tax provided the property is sold after three years of ownership. In terms of death or succession duty, there is a 5% stamp duty payable on transmission of the property. An individual who qualifies for the Residence Scheme Certificate may take up residency indefinitely in Malta once the Malta Inland Revenue authority issues the certificate. The certificate entitles the holder to a flat income rate of 15% subject to a minimum income tax liability of €4,150. Capital gains obtained outside Malta are not subject to tax in Malta even if they are received in Malta. Any prospective new resident of Fort Cambridge is obliged to, remit to Malta a minimum of €14,000 per annum plus an additional €2,330 per annum per dependent year; to purchase residential premises in Malta at a cost of no less than €116,500 in the case of a house or €69,900 for a flat, or lease a residence in Malta for at least €4,200 per annum; and not engage in any gainful occupation in Malta, unless authorised to do so by the relevant authorities. Under the Residence Scheme Certificate, an applicant who is not Maltese must either own assets outside Malta worth the equivalent of no less than €350,000 or be in receipt of an annual income amounting to no less than the equivalent of €23,300. 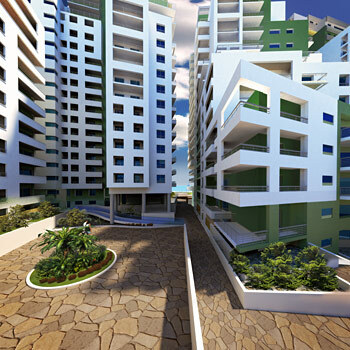 Under this scheme there are no minimum stay requirements at this luxury development in Malta. Copyright 2019. Website by Multinet Services Ltd. All Rights Reserved.